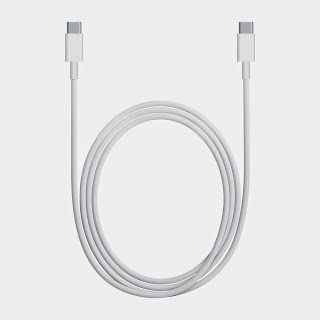 The 2-meter USB-C Charge Cable from Apple is a new charging cable with USB-C connectors on both ends. A simple explanation on USB 3.1 with the USB-C connecter would be that the transfer and data speeds will increase significantly. Within 5 years, I expect the adoption of this new port to increase with the growth of devices that support this system. 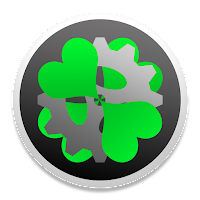 It can output your display, power your device, transfer files, and do about everything it used to take several ports to do. The downside is that with new devices such as the Macbook and Chromebook Pixel that only have one port of USB-C, you will need an extender or USB-C dock. Since the design for USB-C was only finalized earlier this month, the adoption is expected to take off once enough of these cords are brought into the consumers homes and hands. USB 3.1 type-C devices also support power currents of 1.5 A and 3.0 A over the 5 V power bus in addition to baseline 900 mA; devices can either negotiate increased USB current through the configuration line. The USB 3.1 is backward compatible with the previous USB 3 and 2 devices. Adapters are necessary to transfer files with previous USB devices, but the transfer works and charging functions as well with an adapter. 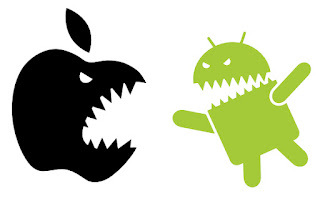 Unlike many of the previous devices from Apple, this technology is avaliable openly to other companies and you may be able to expect many Android phones to use this port. I doubt the iPhone will use it due to the progressive movement to make the phone thinner, and the new port is slightly larger than the "Lightning" charging port. On mobile phones in the future, smaller versions of this USB 3.1 connector are expected to be expanded upon and change the way our devices are connected forever. I wouldn't get to giddy about the prospect that all the devices in the world will be inter-connected by one cable just yet, but in the early days of this new technology I can see the adoption being widespread. The USB Type-C Specification 1.0 defines a new small reversible-plug connector for USB 3.1 devices. The type-C plug will be used at both host and device side, replacing multiple type-B and type-A connectors and cables with a future-proof standard similar to Apple Lightning and Thunderbolt. The 24-pin double-sided connector provides four power/ground pairs, two differential pairs for USB 2.0 data bus (though only one pair is implemented in a type-C cable), four pairs for high-speed data bus, two "sideband use" pins, and two configuration pins for cable orientation detection, dedicated biphase mark code (BMC) configuration data channel, and VCONN +5 V power for active cables.Type-A and type-B adaptors/cables will be required for legacy devices in order to plug into type-C hosts, however adaptors/cables with a type-C receptacle are not allowed.